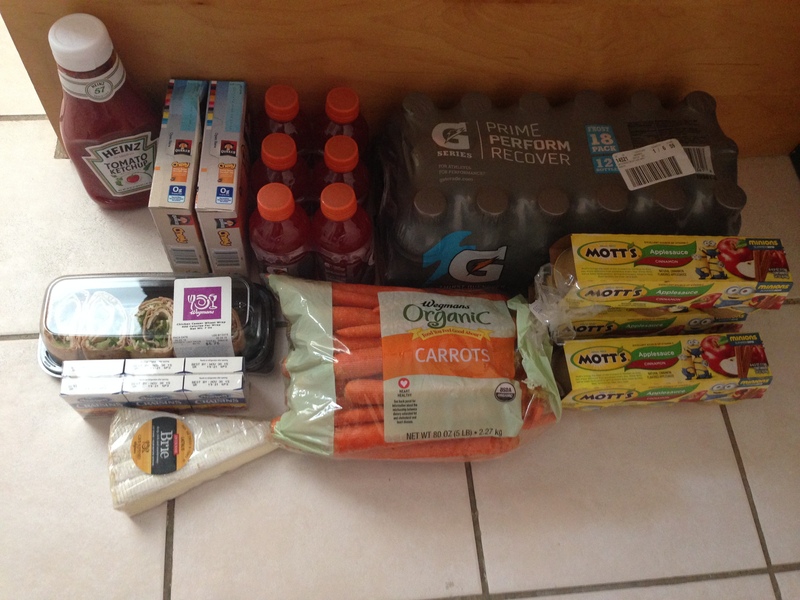 Last week I explained how I prepare to grocery shop. It’s a pretty quick task. Since I’m not publishing menus right now I thought I’d take some time to go through what I purchased last week, why, and how I could have done better (with little additional effort). I went to Wegman’s first. To use all my coupons I needed to spend $25. I spent $42 so I could have left things out. Some combination of the Gatorades, brie, and sandwich would have been the best candidates. 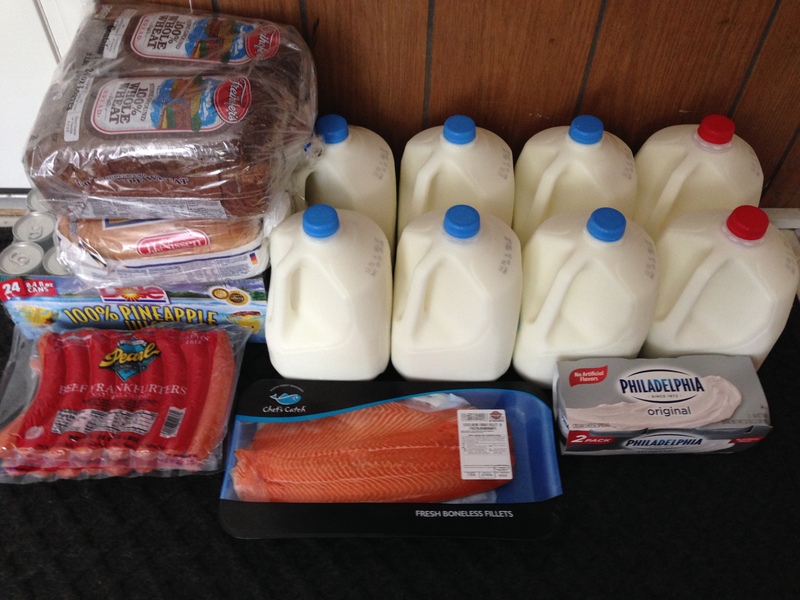 But, (1) we’re using all of those things; (2) though they usually come a few weeks at a time, as of now I don’t have another set of Wegman’s coupons for a future week; and (3) I have a backlog of things I didn’t get at Stop & Shop – more on that later – to cover the $25 coupon if I do get another one. Second I went to BJs. Nothing particularly remarkable here. I last went on a Sunday so I still had a bit more milk left, so I bought less of that than usual. 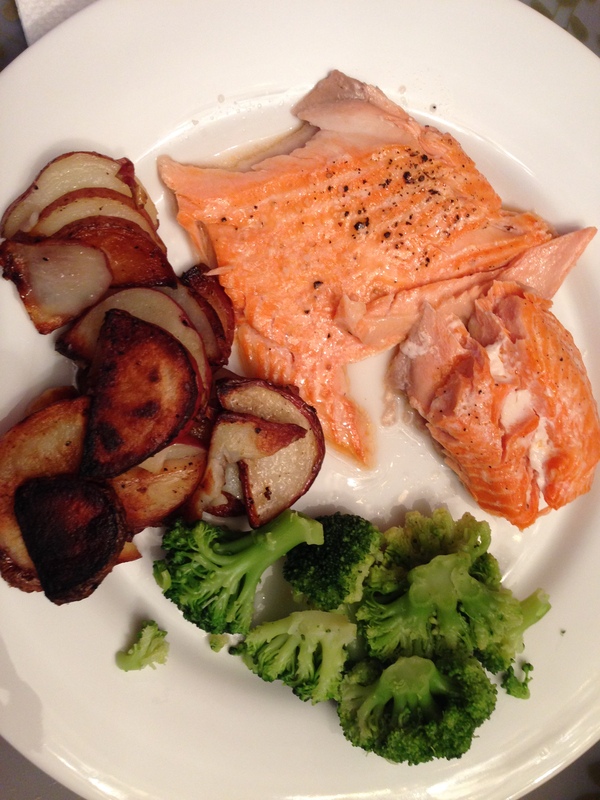 I used the fish for dinner that night and we had one of a very few nice family dinners this month. Now for the big discussion. To recap, I had a lot (by my standards) of coupons to use at Stop & Shop such that I needed to head to the register with my self scanning unit showing at least $71. I thought this was going to be a challenge to get up to, but it ended up reading $86.45. At the register, this came to $64.57 ($43.19 savings total, some of which appear on the self scanner and some of which don’t). 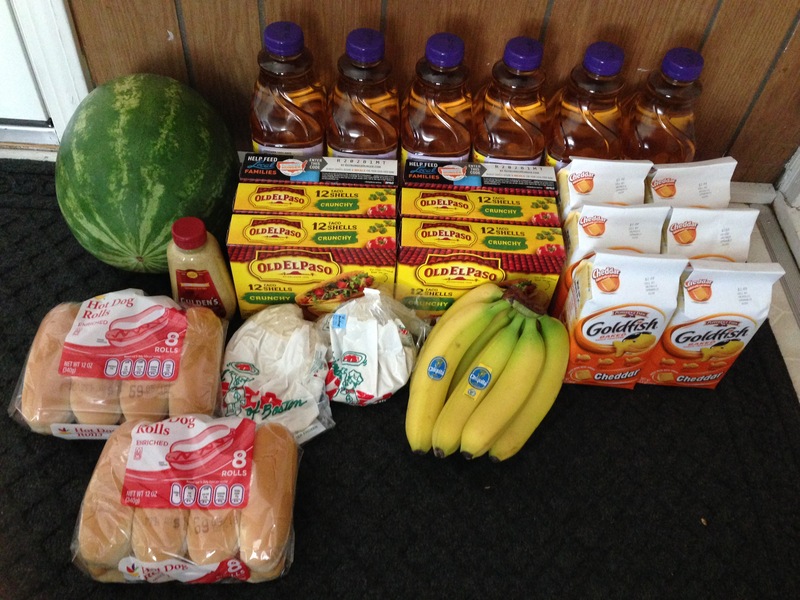 Taking out the P&G deal, $43.11 of this was food (see photo). The hot dog buns, pizza dough (still the new terrible consistency – I really need to get my act together and find a recipe I like), and bananas were not on sale. Everything else was. I skipped the buy 12 and get them for $0.84 deal. There was actually a better deal on the store brand tomatoes, which are fine. And, I don’t really need tomatoes right now and if I bought them I’d have to find someplace to put them. Most importantly, I didn’t need them to get to $71. I did buy one mustard we needed; it was on sale for $1 instead of $0.84 because I didn’t buy 12. All the underlined items on my original list were going to be cheaper elsewhere so I skipped them in favor of a future Wegman’s (or Target) trip. My 300 gas points coupon is worth between $4.50 & $6.00 depending on how much gas I have left when I fill up. I could have done better. I spent $15.45 beyond what was needed. I had another set of Tide coupons. I could have bought another Tide for $8.99 and another grape juice or goldfish (or mushrooms which I determined after I got home I should have bought, though they’re not critical), therefore crossing the $25 line again. So, ideally I would have shopped for non-perishable items (it was hot) until I just ticked over $71. Paid, put those items in the car, and gone around again with another set of store & manufacturer Tide coupons which could have been used if I’d spent $25 or a total of $96. Did I lose you in the analysis? I feel like I did pretty well. But, I should have thought about it more, bought the expensive stuff first to see where I stood, and gone around again. Instead I followed my normal progression through the store which meant produce was first and P&G was almost last. So, yes, I could have done better.